How often have you been doing a home improvement project, and found that you just didn’t have all the power tools that you needed to get the job done? When you suddenly discover that you don’t have the power drill you need to start nail holes, or you’re missing the sander you need to smooth down rough wooden surfaces, you really can’t complete the job without them. And yet – you don’t really want to go to the hardware store or a home improvement shop and plunk down all the money they’re asking for a high-performance name brand product. This is even more true when you don’t intend to have an ongoing need for those power tools. The solution to this frustrating scenario? – Come on down to our pawn shop in Mesa, Arizona, and browse our extensive inventory of used power tools. These are all in excellent condition, with years of good service left in them, so that you’ll certainly be able to accomplish the objectives on your project. 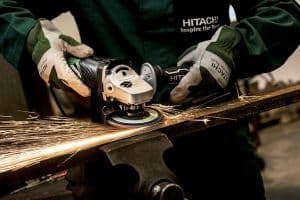 We have a great supply of all the used power tools you can think of, and whatever task you’re trying to accomplish can be done by these high-quality machines – cutting, grinding, sanding, sawing, drilling, polishing, routing, painting, and a host of other jobs. And these aren’t generic power tools – we have some of the finest name brand tools on the market, from Black & Decker, John Deere, Makita, McCulloch, Emerson, Poulan, and Rockwell. Don’t look anywhere else for the power tools you need, until you’ve checked out our inventory of machines, available to you at the best prices anywhere on the local market. On the flip side of that coin, if you have high-quality machines like that which have just been collecting dust in your garage, why not turn them into instant cash, and make that cash work for you instead of becoming part of the background furniture in a tool shed, the basement, or hanging up in your garage? We buy any of these power tools which are still in very good working condition, and which you’ve found little use for in your current everyday life. The old saying about one man’s trash being another man’s treasure couldn’t be more true – your old used power tools may have very little value to you, but to a handyman who regularly finds a need for replacing worn-out power tools, your discards might have real value. If you aren’t sure whether or not your used power tools still have value, by all means bring them into our pawn shop in Mesa, Arizona, and let us evaluate them fairly and honestly. After appraising your tools, we’ll be able to tell you what kind of value they still have, and we’ll make you a fair offer if we think they might have resale value to others. It’s a win-win situation for you, because you unload objects which you really have no further use for, and at the same time, you convert them into ready cash – which you certainly do have use for!